I'm excited to have collaborated with NBC to bring you this video! Catch Kelly Clarkson on the upcoming season of The Voice, which premieres February 26th on NBC! 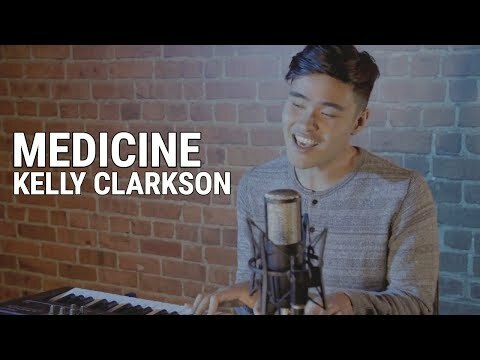 https://www.nbc.com/the-voice Subscribe: http://bit.ly/SubWillJay More Covers: https://youtube.com/playlist?list=PLtfoXDoGojDDSl15VCwuv7mEpQuT7qzvX ********** FOLLOW ME ON SOCIAL MEDIA Twitter: https://twitter.com/willjaymusic Instagram: https://instagram.com/willjaymusic Snapchat: https://snapchat.com/add/WillJaySnaps Facebook: https://facebook.com/officialwilljaymusic YouNow: https://younow.com/willjaymusic Website: https://willjaymusic.com ********** MORE OF MY VIDEOS Mashups & Covers: https://youtube.com/playlist?list=PLtfoXDoGojDDSl15VCwuv7mEpQuT7qzvX Original Music: https://youtube.com/playlist?list=PLtfoXDoGojDCl4-NM_Wgk4Sz6WtlK4BuE Will Jay EP: https://youtube.com/playlist?list=PLtfoXDoGojDA3eTY9ZYwCcmDTiILeWoaP Voice of China: https://youtube.com/playlist?list=PLtfoXDoGojDB5QgfEFeaTlq7Zj5HD50kX ********** ABOUT ME Welcome to my channel! I’m Will Jay and I am a singer-songwriter from Los Angeles. Here you can find videos to my original songs (Leading Man, Gentleman, Fill In The Blanks, Carnival, Watercolors, Version of Love), my covers (25 by Adele, Little Things by One Direction), Mashups & Evolution Of videos (Adele, Justin Timberlake, Adele, Coldplay, Justin Bieber) and my Voice of China Battle videos.